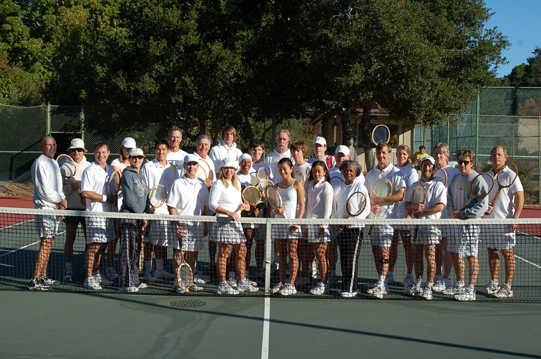 The Woody is a wood racquet tournement held annually in October. Pull that old Kramer out of your garage or just borrow one of our loaners. It's a morning of throw back tennis. This is a Wood Racquet Doubles Tournament. Teams should have a combined rating of between 6.5 to 8.5. Compass Draw: this basically means you keep playing ... no elimination. All players must use a wood racket. We do have loaners.